Alain Burrese is an author, speaker, personal security expert, safety and self-defense instructor. 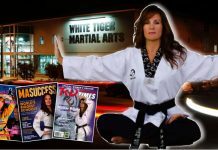 He has combined his years of martial art and self-defense training, military service, bouncing and security work, along with his formal education, which includes a business degree and law degree, into books, DVDs, and programs to help people stay safe and defend themselves when needed. Alain Burrese began his passion for martial arts in the 1970s when he took home Fred Neff and Bruce Tegner books from the local library. In 1982, while in high school, he took his first formal martial art classes and trained and competed in Judo. After high school, Alain served as a paratrooper with the 82nd Airborne Division. It has been documented by Martial Arts Enterprises that he completed sniper training and was an assistant sniper instructor for the 2nd Infantry Division in South Korea and he was honorably discharged from the military. 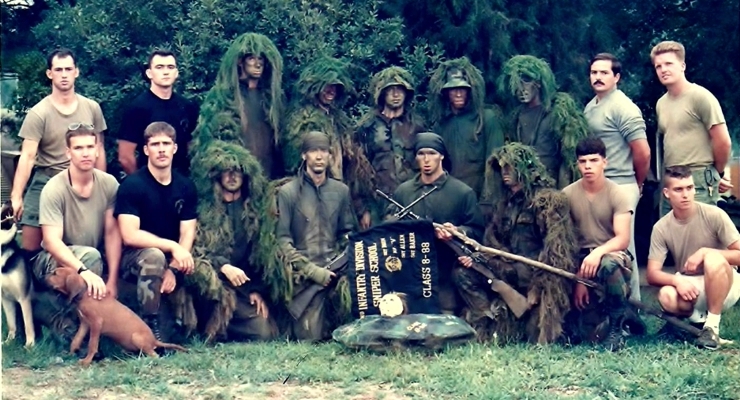 Alain Burrese Assistant Sniper Instructor in 1988 U.S. Army 2nd Infantry Division Scout Sniper School, Camp Casey, South Korea. Alain is in the front row second from the left. Using his GI Bill benefits, Alain Burrese went to the University of Montana and earned his Bachelor of Science degree in Business Administration with a Minor in Communication Studies. He graduated from the University of Montana in 1994 and then traveled to Japan where he taught English for a year. Alain studied a variety of martial arts throughout the years, including karate, taekwondo, and hapkido but, due to frequent moves, he never tested for a dan grade in any of them. While living in southern California, Alain also trained with personal safety and self-defense instructor and author Marc MacYoung and then worked a bodyguard/security position with MacYoung. 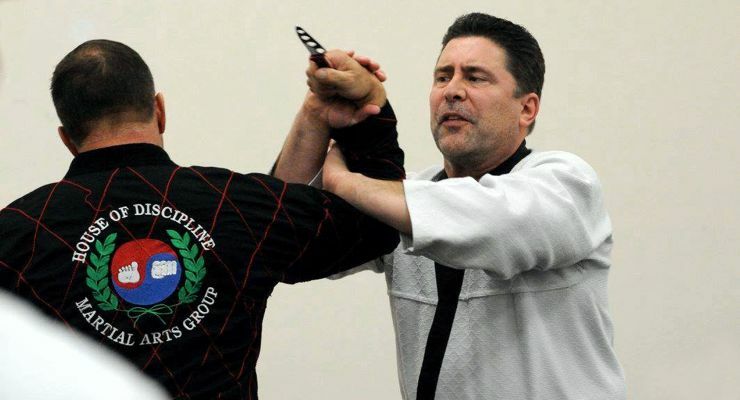 After writing his first book on self-defense, Alain Burrese decided to focus his training in hapkido, the style seen often in the Billy Jack films, and an art he had studied for a short time in 1990 under Dennis Dallas in Helena, Montana. Dennis taught karate, judo and hapkido classes. Alain Burrese and Jun-kyu Lee in Korea in 2018. Alain moved back to South Korea in early 1996 to devote himself to the study of Hapkido. While living in South Korea, he supported himself by teaching English at ahogwon, a private academy in Gangneung, South Korea in the evenings. During the day he focused on Hapkido, attending 11 Hapkido classes and 5 Qigong classes weekly. He studied at Hapkido Choiyukwan which means Hapkido Gym, owned by Kwanjangnim Young-jong Kim. Kwanjangnim Young-jong Kim’s Sabeom was Sabeomnim Jun-kyu Lee, who Alain trained with much of the time. Alain also trained with Kim Hyun. 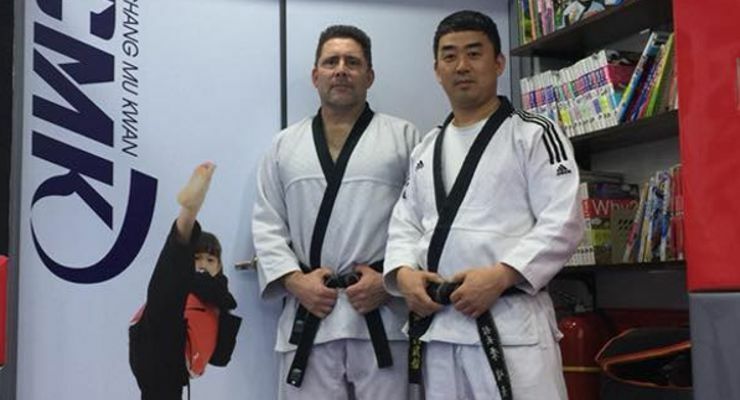 Both Lee Jun-kyu and Kim Hyun have opened their own schools, and his trips back to Korea Alain has visited and trained with all of them but his rank has come through Jun-kyu Lee and the organization that Jun-kyu Lee belonged to at the time of Alain’s ranking. When Alain returned to the United States, he earned his Doctor of Jurisprudence degree, a graduate-entry professional degree in law, from the University of Montana School of Law. He practiced law for a number of years, but left the practice to pursue his dreams of writing, speaking, and teaching martial arts. He is currently a licensed attorney in good standing in the state of Montana. He continues to return to Korea to train with Jun-kyu Lee, who now runs his own school. Alain currently holds a 5th dan in Hapkido from Jun-kyu Lee. 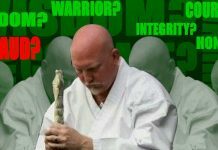 Alain has written numerous articles, including for Black Belt, Karate Illustrated, Kung Fu Illustrated and was a guest contributor to the online magazine, Conflict Manager. Alain will soon be contributing to USAdojo.com. He is currently the Director of Active Defense Training for Reflex Protect® and is developing courses in active shooter response and dealing with workplace violence for the company. Reflex Protect® is a safety company that provides a non-lethal self-defense spray and violence response training for use at home and in the workplace. He is always working on new book and video projects and teaches regularly in Montana when he is not traveling to speak and teach around the country and beyond. Alain has an Enjoy Life Safely Podcast on his website Survive and Defend where he discusses safety, personal security, self-defense and active shooter response. 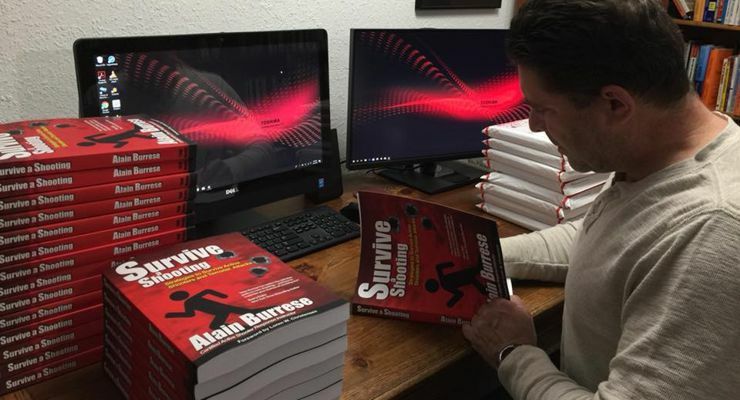 Alain allows people to become a member of Survive and Defend where they have access to articles, videos, and audio files on all aspects of safety, self-defense and survival for those who are serious about safety and defense. 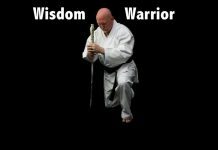 “Alain’s teaching approach is clear, concise and without unnecessary mysticism or superfluous movements.” ~ Loren W. Christensen, author of numerous books on self-defense and the martial arts. 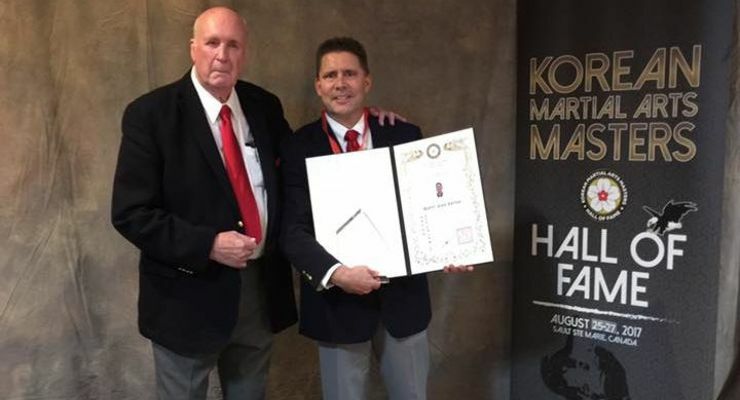 Grand Master Rudy Timmerman and Alain Burrese at Alain’s induction into the Korean Martial Arts Masters Hall of Fame in 2017. Alain Burrese was inducted into the Korean Martial Arts Masters Hall of Fame in 2017.